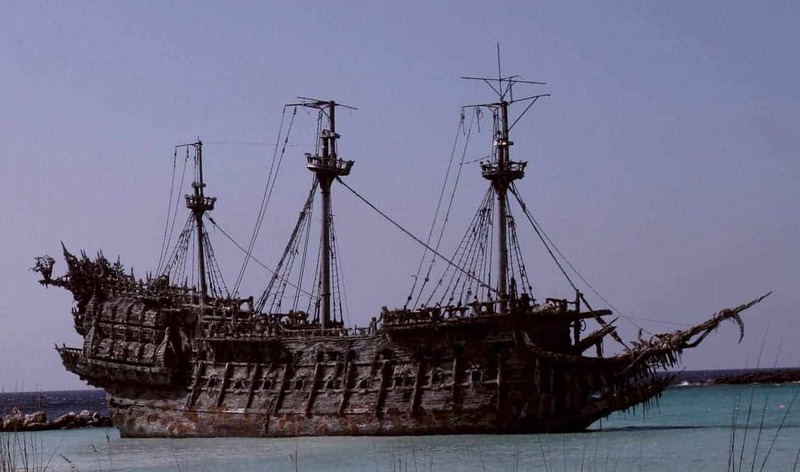 Remember the Flying Dutchman that appeared in the year 2006 released Pirates of the Caribbean: Dead Man’s Chest as Davy Jones’ ship? You may not know but it is inspired by a real-life legend. There are many myths and legends associated with the oceans but none is as creepy as the Flying Dutchman. It is probably the most frightening of all maritime legends. The Flying Dutchman is actually a ghost ship having a terrifying curse attached. What’s that? Read on to find out more about the Flying Dutchman. According to historical accounts, in 1641 Captain Hendrick van der Decken from Holland embarked on a journey to Far East India. He was sailing with his crew in a large ship. The purpose of this trip was to buy pricey goods such as dyes, spices, and silks and sell them back home. The ship made it to its destination just fine and Captain Decken bought many goods, as many as the ship could hold. In the Far East region, Captain Decken also got some necessary repairs of the ship done. When all of his tasks were complete, he decided to sail back to the Amsterdam. Once the ship reached the coast of Africa, the ocean became turbulent and showed signs of a heavy storm. Captain Decken started having second thoughts. He was employed by the Dutch East India Company. So, an idea struck him that it would be better if the company allows him to make a settlement nearby the Cape of Good Hope in South Africa. Otherwise, the ship would be caught in the storm. But, as the ship got closer to the Cape of Good Hope, the storm came upon suddenly. All the crew members and sailors at the ship panicked. They firstly requested and then begged Captain Decken to change the direction of the ship. However, the captain didn’t listen to their pleas. Instead, he ordered the sailors to keep moving in the direction of the windstorm. He wanted to reach the harbor but in such weather, there wasn’t any such possibility. Sailors were surprised; after all, nobody in his right mind would like his ship to enter a windstorm. Maybe Captain Decken was drunk or maybe mad, who knows, but, he refused to turn the ship into another direction. The ship never made it to the harbor and got lost into the ocean never to be heard of again. Did it sink? Well, it didn’t because there have been many sightings of this ship ever since. That’s how the legend of the Flying Dutchman originated. So, why do we see it still lurking on the shores nearby the Cape of Good Hope, across the South African waters and even around the world? That’s because of the curse. There are three different accounts of how the ship and Captain Decken got the curse, so let’s review them one by one. It is believed that the captain’s decision to keep moving towards the hailstorm angered God. The crew members felt that the captain was being unreasonable and they might die a terrible death on-board. That’s why they rebelled. But Captain Decken killed the rebel leader and threw his dead body into the aggressive ocean. As soon as the body was thrown, a voice from the skies was heard telling the captain that due to his wrong act, the ship is doomed to sail the ocean forever. Another version of the story is that Captain Decken ignored the pleas of his crew members and proceeded towards the chaotic waters. Winds were too strong to take the risk but the captain was determined. He vowed that he would keep on sailing around the Cape even it took an eternity to reach the shore. At that point, as they say, an angel appeared and Captain Decken shot him, which led to the cursing of the entire ship. Now, this version has probably been inspired by the Captain Bernard Fokke’s legend, which is also very popular. It is believed that Captain Decken was sailing towards the Dutch East India Company for which he worked. Quite surprisingly it took him only three months to reach Indonesia from Amsterdam. So, fellow sailors started speculating that he somehow met the devil and played a game of dice with him to trade his soul for lightning fast speed. (See, the Ghost Rider has been inspired by the Flying Dutchman legend too). Regardless whichever version is accurate, the fact is that since that day, the ship turned into a ghost ship. It keeps wandering the oceans around the world specifically the Cape of Good Hope. People swear to have actually seen the ghostly ship nearby the Cape during stormy weather. It usually appears for a brief moment in foggy and windy weather in a glowing form. Some claim that it tries to communicate with travelers at times but normally it just appears. Within seconds you may see it vanishing into thin air just as it never appeared. But, even that seconds’ long glimpse is enough to give you chills down your spine. According to several myths and stories associated with the Flying Dutchman. The ship that is doomed to sail forever is a horrible sign of misfortune. Legend has it that if you look closely into the storm developing at the Cape of Good Hope, you will see the Flying Dutchman. But, it has serious consequences because then you might die a gruesome death. As mentioned above, the Flying Dutchman is quite frequently seen sailing in stormy weather. Prince George, who later became King George V in 1881, was sailing on the HMS Bacchante with Prince Albert Victor (his brother) nearby Australia. They were on a three-year-long journey. At around 4 a.m. the ship’s crew noticed the appearance of the Flying Dutchman. It was covered in glowing red light. The image of the ship was crystal clear and the sailors saw it because it was a clear night. However, when the ship reached the exact spot where they sighted the ghost ship, there was nothing. As the legend goes, the first crewman who sighted the Flying Dutchman fell from the pole onto the ship’s base and died on the spot. The Flying Dutchman makes an appearance too frequently to ignore. In 1939, the people of South African city Cape Town got terrified by seeing a huge, rugged looking ship sailing in front of them. It disappeared after a few minutes. They found the ship to be too old in looks to be sailing in the twentieth century. Of course, the shipping industry has advanced greatly since the 1800s. Another popular sighting incident was recorded during World II by Germany’s submarine crew. The crew claims to have seen a ship in the Suez Canal that disappeared suddenly. While in the Royal Navy, at the time of World War II, a British author Nicholas Monsarrat also claimed to have seen the Flying Dutchman. 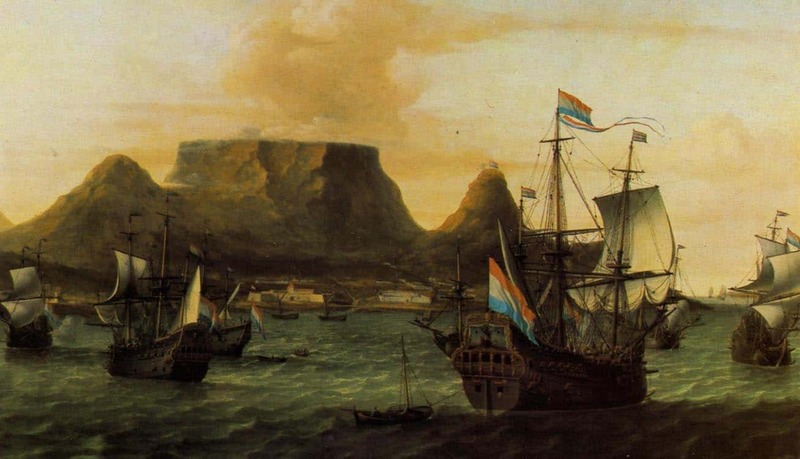 It seems like the Cape of Good Hope is the main culprit behind the cursing of the Flying Dutchman. The Cape is famous as the building ground for terrible storms while its shoreline has many hidden rocks. In fact, it was nicknamed as the Cape of Storms because of the frequency of storms. It has been the cause of destruction for many ships that get deceived by the beauty of its coastline. This is indeed a dangerous route for ships. Back in the 1800s, Europe and Asia had strong trading ties and most of the trading was done via ships. Passing through the dangerous route of the Cape of Good Hope was necessary for sailors. Even well-known explorers like Bartolomeu Dias and Vasco da Gama crossed this Cape to sail to Africa and India. So, we can say that Captain Decken probably had no choice at the time as he had to pass the Cape. Scientists insist that the Flying Dutchman could very well be a mirage. A Mirage is a refraction of light. Scientists say that the ghost ship sightings have a scientific explanation, a phenomenon called Fata Morgana. It occurs after light refracts and bends after crossing varying air temperatures. Ocean’s surface is an excellent reflector of light and is the perfect medium for Fata Morgana to occur. Fata Morgana also occurs during an intense heat wave that we see rising along a hot asphalt road. Fata Morgana allows shaping of shapes that usually are a reflection of structures or shapes present nearby. The same phenomenon lets sailors see another ship from some distance, which suddenly disappears because it is only a reflection of the ship itself. When they reach the spot, the impact of Fata Morgana is lost. So, according to scientists, it is just a normal light play that tricks the sailors into thinking that there is another ghost ship. The destruction of ships is merely a coincidence. The association of bad luck with the sightings is also a result of this psychological illusion. When they saw something unexpected and unexplainable they panicked and died. If you believe in ghosts and myths then you would certainly approve that the Flying Dutchman exists. But, if you want to believe the scientists then go with it. But, one thing that even scientists couldn’t explain is that how the illusion occurs at nighttime when the sky is clear, as happened in various sightings. Moreover, science also doesn’t explain why a majority of the sailors claim to have seen skeletal forms of sailors aboard the Flying Dutch. Some even claim that the ship’s crew tried to send messages to them. Is this also a product of the human mind? Perhaps, There are some things even science cannot explain. You should accept such things as unsolvable mysteries. If you are the daredevil type, then it is time to head to the Cape of Good Hope and wait for stormy weather to check out what really happens. Next articleSome Indians are Swallowing Live Fish to Cure Asthma – Does It Make Sense?